Although it is the smallest of the seven continents, Australia is often referred to as the largest island in the world. Surrounded by the Pacific and Indian Oceans as well as the Arafura, Coral, Timor and Tasman Seas, it’s no wonder that tourists flock to the beaches. While there are many excellent holiday spots, the following are five favourite destinations. 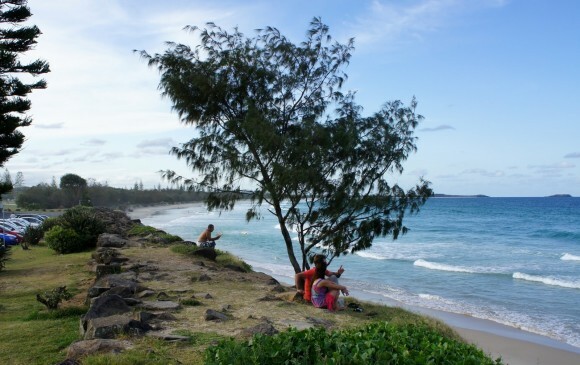 Sunny beaches and hiking tracks combine to make Kingscliff a wonderful holiday retreat. Walking along Casuarina Sculpture, hiking up to Protestors Falls, or climbing hinterland rainforest Mount Warning allows seasonal tourists the pleasure of exploring the local rainforest. Buttress-rooted figs, Maiden’s Blush, Bangalow Palms, Staghorn and Elkhorn are amongst the native vegetation. Holiday guests can swim, dive, or snorkel within the remarkable Cook Island Marine reserve. From fine dining to casual snacks, there are meals available for all tastes. Likewise, guests can check in and enjoy a variety of accommodations including luxurious resorts such as Peppers Salt Resort & Spa and holiday park options designed to suit most needs. A wonderful family destination, Mooloolaba boasts sandy beaches lined with Norfolk pines. The surfing academy – ‘Sunshine Coast Kite,’ the ‘Australia Zoo’ and popular cooking classes appeal to holiday guests. Vegan foods, fine dining, coffee and avocado snacks entice tourists who love great food. The ‘Oceans Mooloolaba’ has serviced apartments with exceptional ocean vistas while the Mooloolaba Beach Holiday Park provides waterfront views at budget friendly prices. Noosa delivers a beach holiday with glamour. Close to upscale restaurants and fashion boutiques, the lovely views and architectural features at Castaways Beach are designed for relaxation. Each of the rooms offers comfort and opulence for couples, singles and families just sixty seconds from the seaside! Port Macquarie affords a laid-back Australian beach holiday. Vacationers will enjoy picnicking, fishing, and barbecuing in this relaxed environment. Kattang Nature Reserve and Kooloonbung Creek Nature Park provide a first-hand glimpse at hundreds of different types of bird, floral and wildlife species. From dining on fresh organic foods, touring the koala hospital, to kayaking amidst the mangroves, Port Macquarie is a travel haven. Holiday accommodations are available to suit a broad range of budgets. Treehouse and beachside lodging includes tennis courts, swimming pools, and more. Torquay provides an excellent beach vacation for families. With a variety of recreational water sports such as surfing, swimming, snorkelling, boating and diving, there is never a shortage of activities for everyone to enjoy. Bells Beach is a popular surfing spot and Surfworld has earned a reputation as the biggest surf museum anywhere. From golf to dining, Torquay offers relaxation with all the extras. 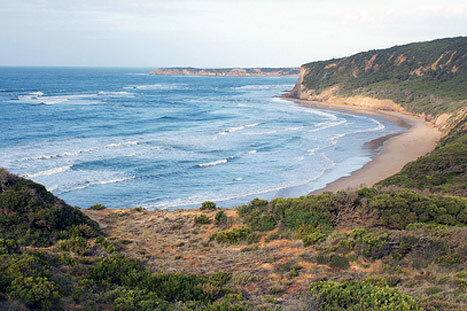 The forty-four kilometres Surf Coast Walk allows visitors the chance to exercise while taking in the natural beauty of coastal Victoria. Torquay’s Foreshore Caravan Park features cabins and campgrounds for guests while resorts such as The Wyndham Resort includes outdoor (and indoor) pools, tennis court, and views of the ocean. Just five suggestions for top beach holidays in Australia… Please tell us which one is your favourite.